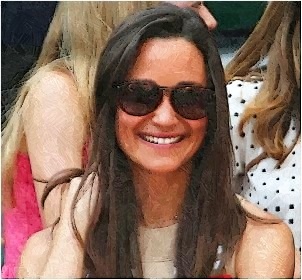 Pippa Middleton followed a royal tradition after buying a special necklace for her older sister, Duchess Kate in 2013. The brunette beauty picked a Merci Maman necklace for the Duchess of Cambridge. The source revealed that it was a personalised necklace to celebrate the birth of Prince George. It includes a gold-plated disc with the words George Alexander Louis engraved on it, alongside a smaller heart with a ‘W’ (for William) and a charm in the shape of a little boy. The necklace marked the family tradition, which was started by Princess Diana after giving birth to Prince William in 1982. It is believed that the late princess wore a gold pendant, which was a gift from Prince Charles, that engraved their son’s name.